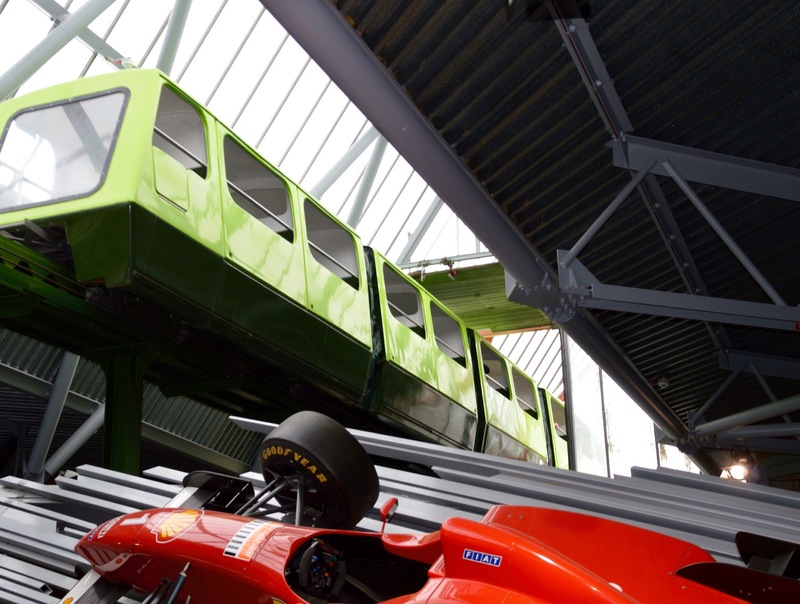 Take the kids to the National Motor Museum, Beaulieu. The grand family home of the motoring-mad Montagu family in the New Forest and the site of one of the finest collections of cars, motorbikes and motoring memorabilia in the world. There are more than 250 vehicles on display, from early motor carriages and 1920s “gangster” cars to legendary land-speed record breakers and motoring marvels, such as a giant orange on wheels. There’s also a full-size caravan made from Lego and familiar TV show cars, too, such as Del Boy’s Reliant Regal from Only Fools and Horses and Wallace and Gromit’s Anti-Pesto van. There are costumes to try on, cars to climb into, knobs to turn and buttons to press and a new interactive crash-test-dummy challenge. Jack Tucker’s garage recreates the sounds and smells of the 1930s and in the “World of Top Gear” there’s all sorts of crazy contraptions created for the TV show. Beaulieu was a top secret base for special agents during the second world war. More than 3,000 spies were trained here before undertaking daring missions behind enemy lines. The monorail at the museum. We loved riding the monorail high above the gardens of the abbey and, ingeniously, through the roof of the motor museum itself. But getting up close to the original Chitty Chitty Bang Bang was our daughter’s favourite. The abbey and the gardens are stunning, and have a brilliant new Alice in Wonderland topiary display. There are fascinating exhibits for budding spies in the Secret Army exhibition and in Palace House costumed guides make you feel as though you are guests of the family – you may even see the cook rustling up a favourite family dish in the newly-restored Victorian kitchen. There’s a covered picnic area and benches beside the children’s Dipstick playground. Alternatively, the Brabazon Cafe serves good food using produce from the estate gardens: a kid’s picnic or hot meal, such as jacket potato or fish and chips, costs £4.75; a kids’ hot chocolate with smarties costs £1.75; adult meals, such as large salads from the deli, start at £7.50 (soup £4.60) and a cream tea is £2.50. Yes, with a huge selection of model cars, books and motor-themed gifts, as well as homeware, clothing and toys. A radio-controlled Ferrari costs £39.99 while pocket-money-priced toys, such as pencils and rubber balls start at £1. 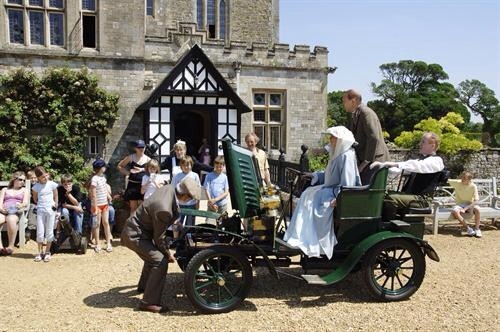 Travel by train, ferry or bus for all or part of your journey to Beaulieu and you get 20% off standard admission. Take the train from London Waterloo to Brockenhurst, or the Hythe Ferry across Southampton Water to Hythe. 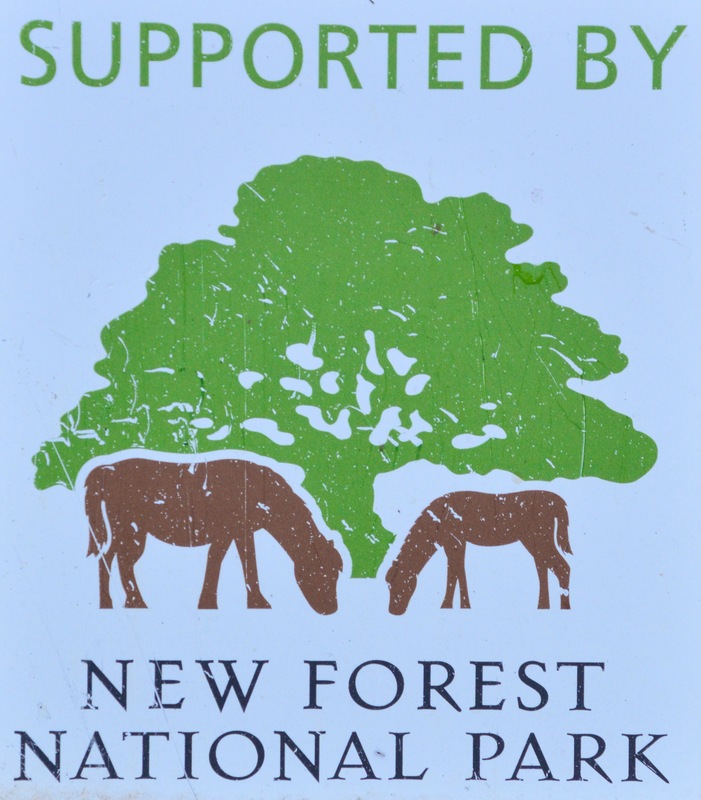 The New Forest Tour’s green route links Beaulieu with Hythe Ferry, Lyndhurst, Brockenhurst and Lymington. 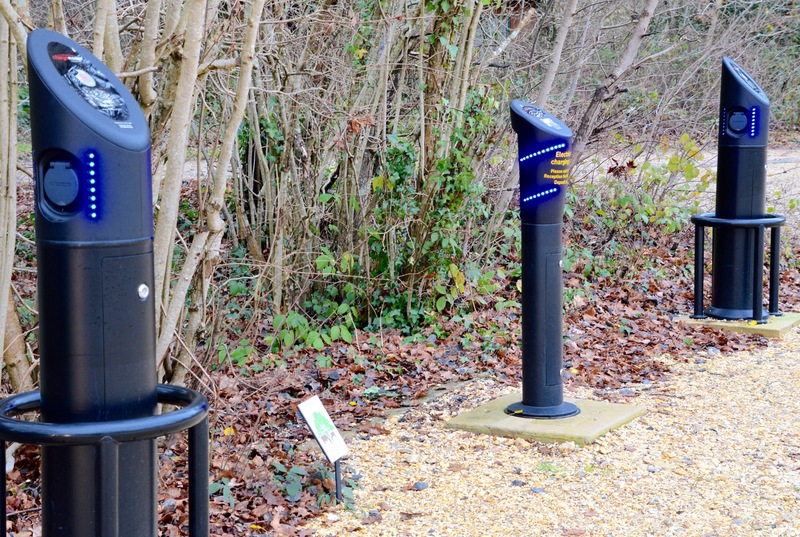 By car, take junction 2 off the M27 and follow signs to Beaulieu. 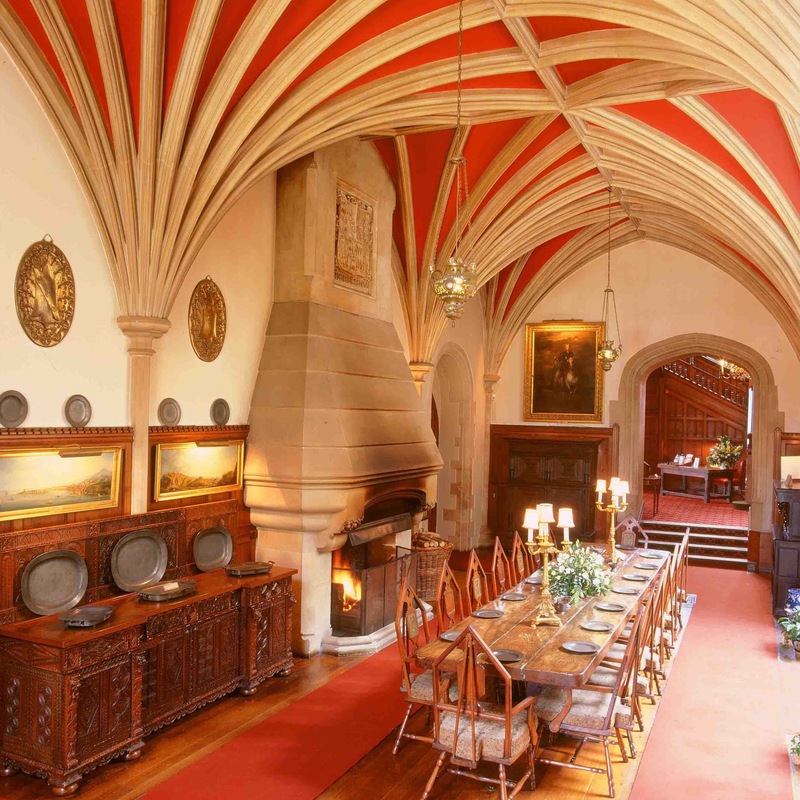 It’s pricey, but you could easily spend a full day here. 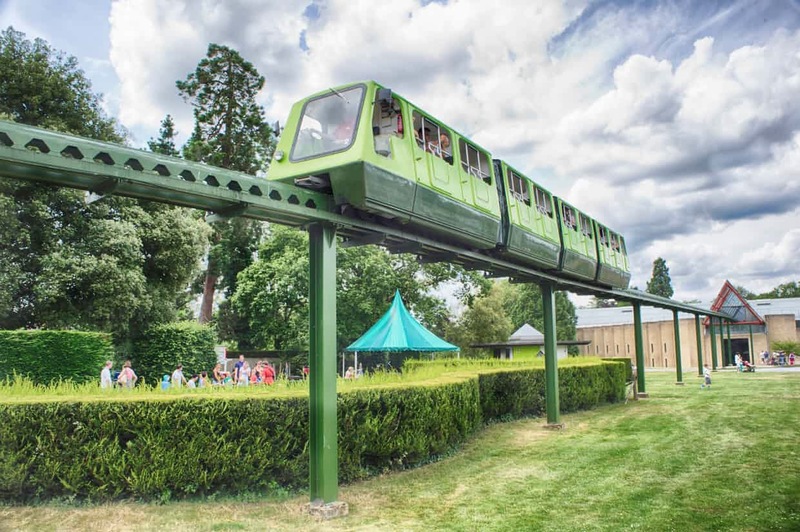 Advance tickets cost £19.50 adult and £9.50 child, for entrance to The National Motor Museum, World of Top Gear, Palace House and gardens, Beaulieu Abbey, the Secret Army Exhibition and unlimited rides on the monorail and veteran bus. Under 5s are free. Open daily 10am-6pm (27 May-24 September) and 10am-5pm (25 September onwards, closed Christmas Day). 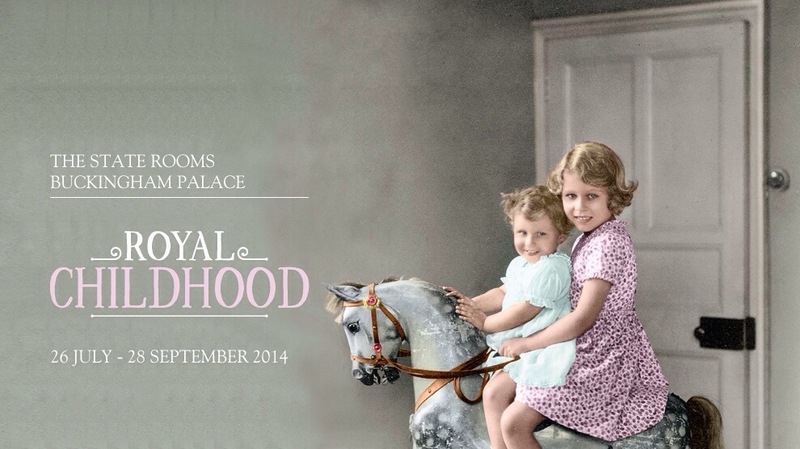 8/10, well put together and a great family day out. 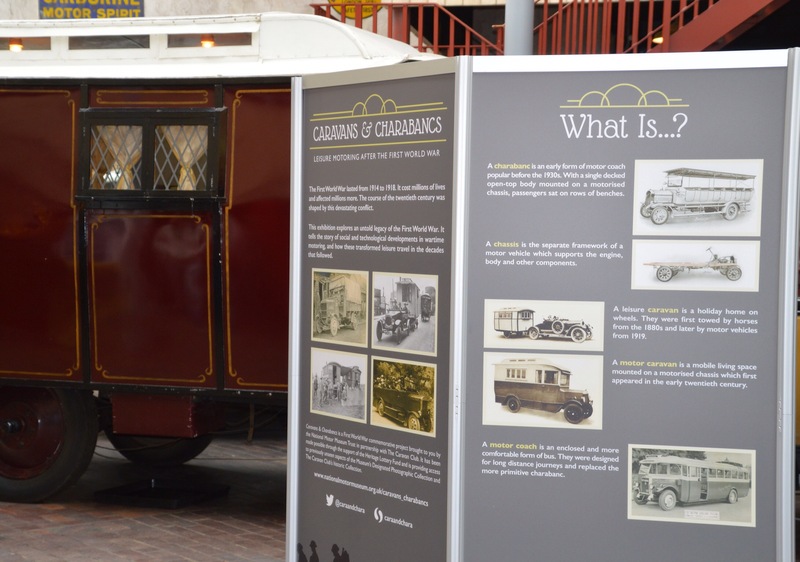 The National Motor Museum Trust and its project partner The Caravan Club, are commemorating the centenary of the First World War in an innovative project Caravans and Charabancs – Leisure Motoring After the First World War. This two year project is supported by the Heritage Lottery Fund. 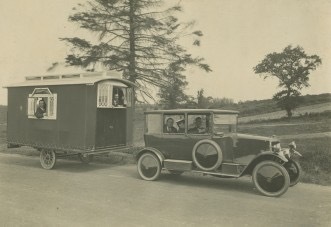 Caravans and Charabancs will explore the untold legacy of this devastating conflict, charting how accelerated social and technological developments in wartime led to a revolution in leisure motoring in the decades that followed. 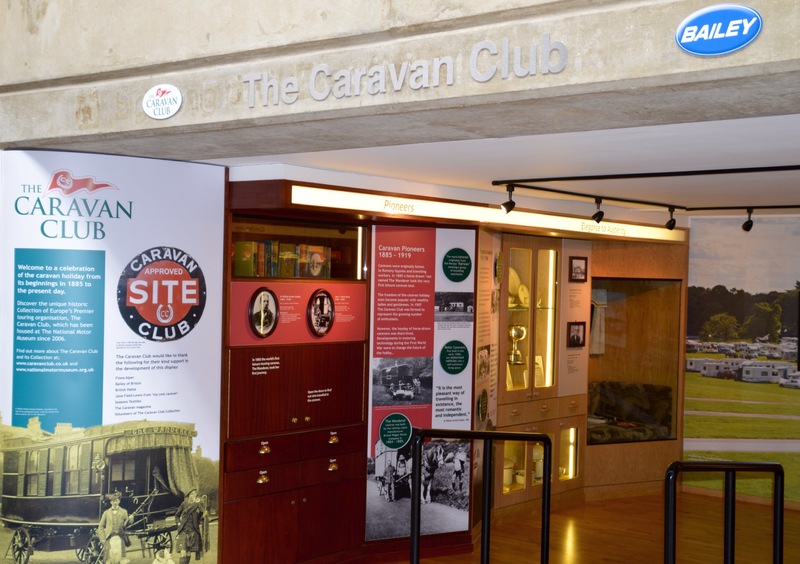 A forthcoming programme of community events, exhibitions and social media campaigns will enable the public to engage with previously unseen aspects of the National Motor Museum’s Designated Photographic Collection and that of The Caravan Club. 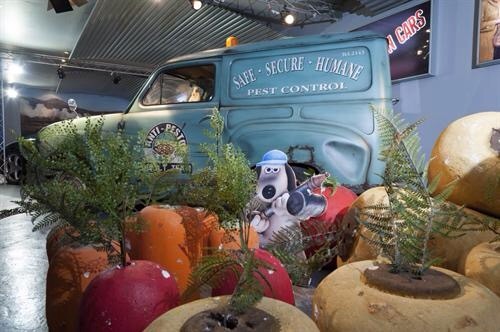 The Wallace and Gromit Anti-Pesto Van is the latest exhibit to arrive in Beaulieu’s On Screen Cars display. A plasticine version of this Austin A35 van was created for the film Wallace and Gromit: The Curse of the Were-Rabbit. In the film, Tottington Hall’s Giant Vegetable Competition is fast approaching and Wallace and Gromit are running a vegetable security and humane pest control business, Anti-Pesto. In order to cope with the increasing amount of captured rabbits Wallace invents a brainwashing machine, but a mistake during the operation creates a ‘Were-Rabbit’, a giant rabbit which eats vegetables of any size. It’s down to Wallace and Gromit to capture the rampaging beast before the competition! The Anti-Pesto Van, which has been loaned to Beaulieu following a call-out for new vehicles for the exhibition, joins a host of other star vehicles. The ‘flying’ Ford Anglia on display was used during the making of Harry Potter and the Chamber of Secrets. In the film, the enchanted flying car is stolen a number of times by Ron Weasley, on one occasion to rescue his friend Harry Potter from the Dursleys’ house, and on another to return to Hogwarts after the gate to Platform 9¾ is sealed by house elf Dobby. Sharing the spotlight with the Anglia is TV favourite, Mr Bean’s lime green mini. This particular car was used in the character’s third series and made its first television appearance on 1st January 1991. Another TV favourite on display is Del Boy’s beloved Trotter Van. Possibly the nation’s most famous three-wheel vehicle, this Regal van featured in the BBC sitcom Only Fools and Horses. It was the sole transport for the Trotter family of Del, Rodney, Grandad and Uncle Albert, until Del Boy later went ‘upmarket’ and purchased a Capri Ghia. 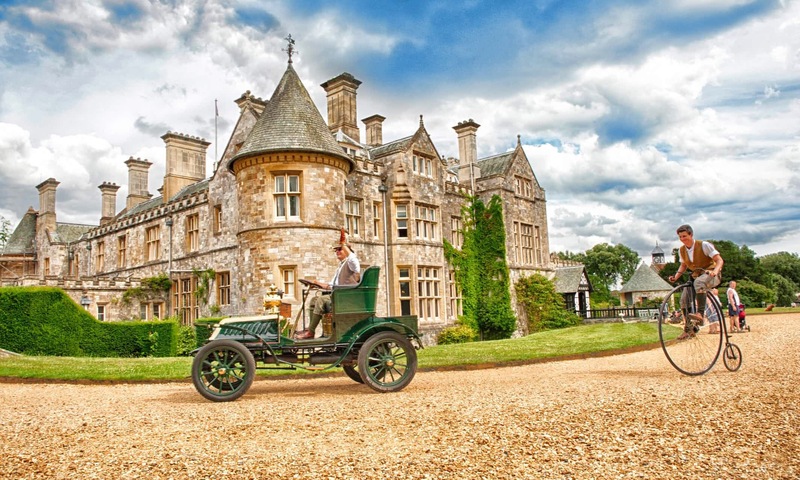 On Screen Cars can be seen as part of a visit to the whole Beaulieu attraction, which also includes the National Motor Museum, World of Top Gear, Beaulieu Abbey, and Palace House and gardens. Visit http://www.beaulieu.co.uk for further information. 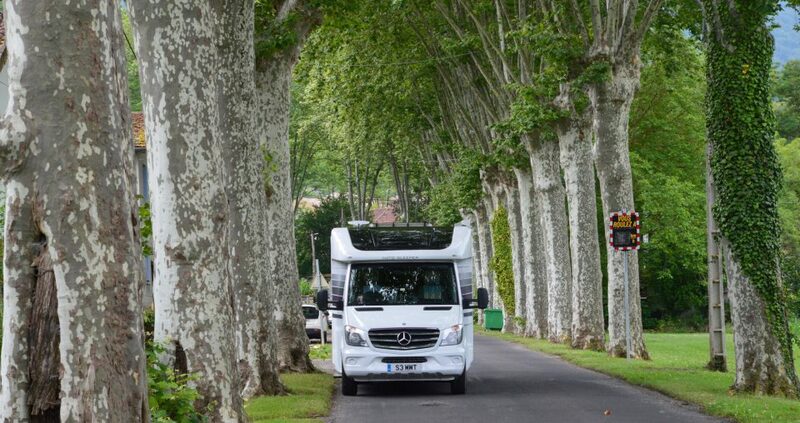 The National Motor Museum has a dedicated motorhome parking area. 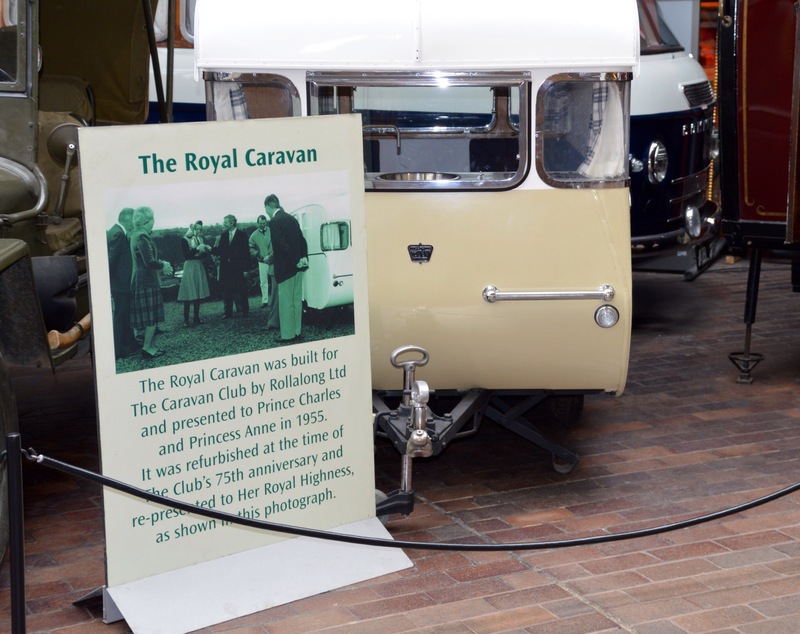 The Museum hosts the archives of The Caravan Club and has a permanent Caravan Club display.